The team has been very busy over the past couple of months with many events. We would like to thank everyone for inviting us to visit them. We are appreciative of everyone who is supporting us in our big decision to race in the World Solar Car Challenge across the continent of Australia in October 2015. Our goal is to be the first-ever high school to complete the race. 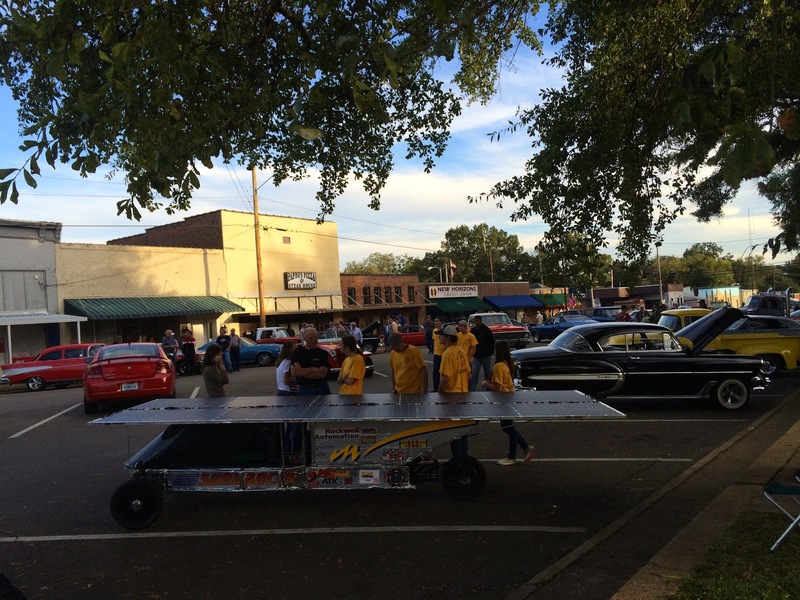 Our town had a car show on the square and we were invited to attend. It was great to talk with people who knew a lot about fixing cars. They gave us some good advice on how to better secure our car during travel. It's football season and that means it's also homecoming. 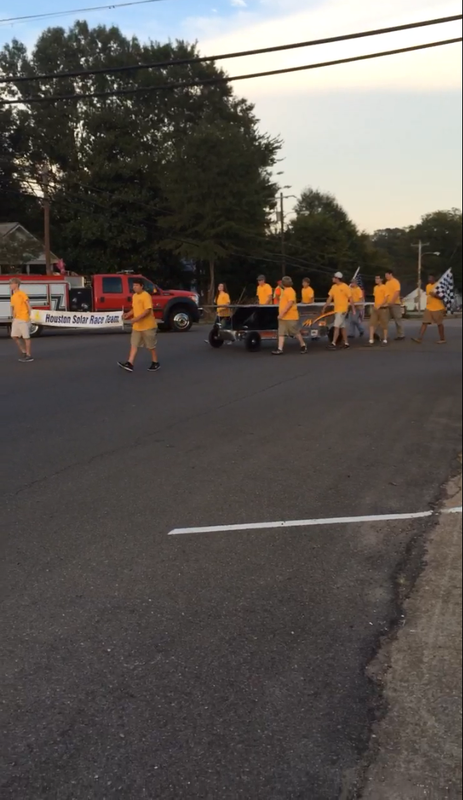 We were proud to participate in our school's parade. 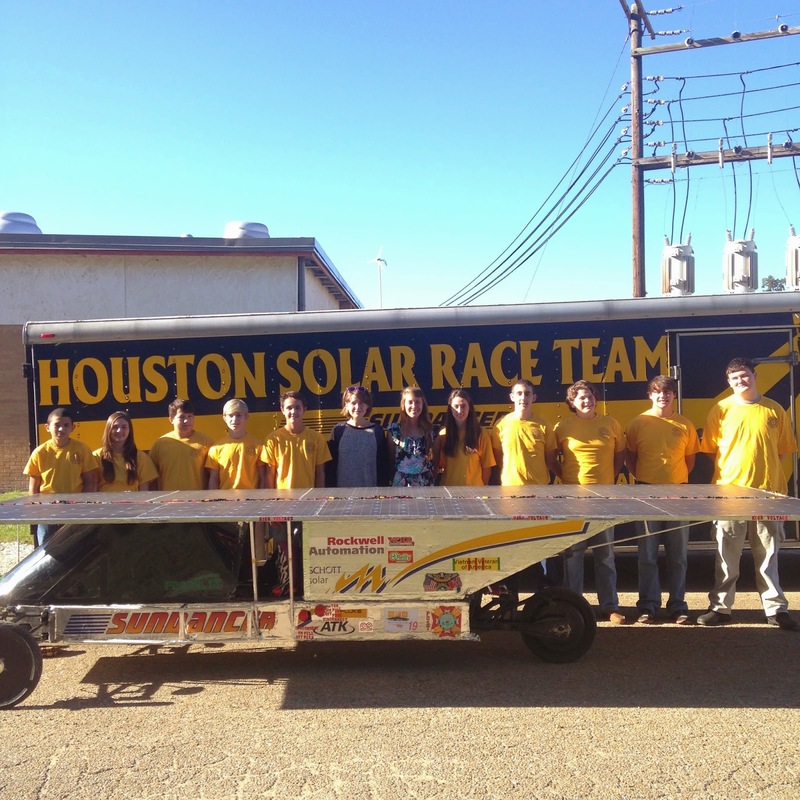 We got to introduce the 2014-2015 Houston Solar Race Team to our community. Jan Schaffer from the Mississippi Attorney General's office came to see exactly how the car worked. She was eager to drive it! 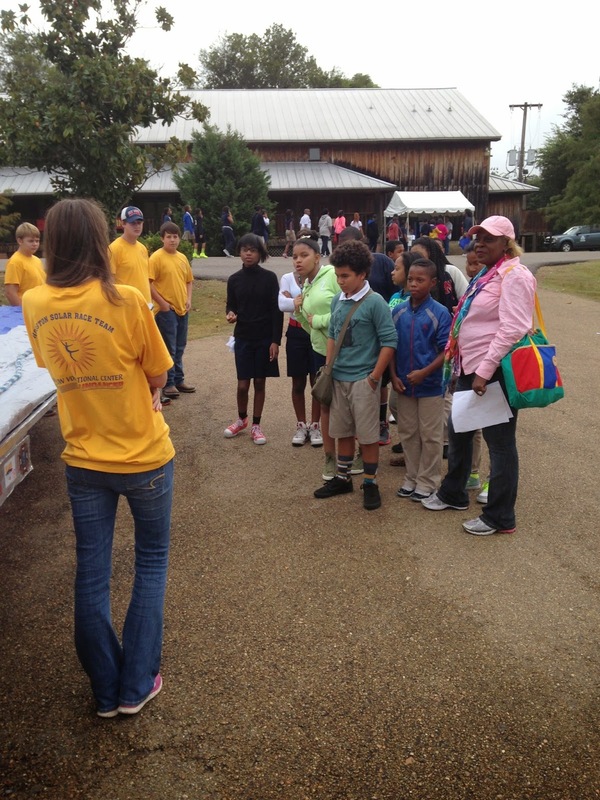 In the beginning of October, we attended the Mississippi Energy Day Fair in Jackson and talked to students from across Mississippi about how our car works. They asked us very interesting questions that only young children with creative imaginations could come up with. 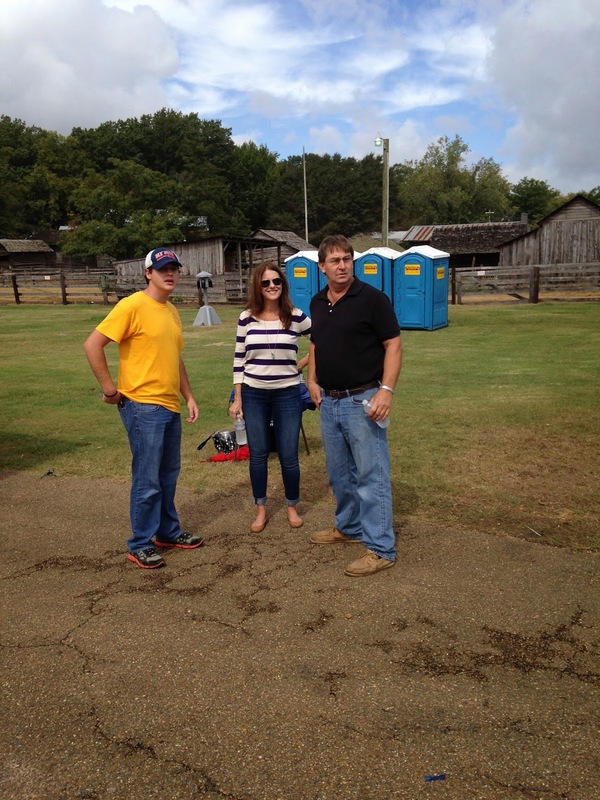 Our trip to the Amory Rotary Club. We would like to thank them for the invitation and opportunity to share our race experience and our future plans for Australia. We had a blast meeting with them! Their facility was first class! We were honored to have the two women from Mississippi Herd come to our school and to look at our car . We love what you guys are doing with connecting the Russia culture and the Mississippi culture.